One height across all tasks and industries would certainly make enforcement easier, but this is not the case. 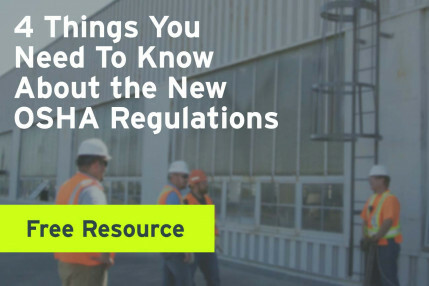 OSHA’s intent is to keep people safe across most industries, however, keep in mind that contracts and/or site policies can exceed the regulatory requirements. This means that at any point your employees are exposed to heights equal to or greater than these, they must have some sort of protection. There is an instance in which there is NO minimum height. If your employees are working over dangerous equipment, machinery, or any hazard into which they could fall, they must have fall protection at all times or machine guarding needs to be put into place. There are a number of exceptions to the basic rules, many found in the construction industry. Construction is dynamic, making it harder to recognize a fall hazard. 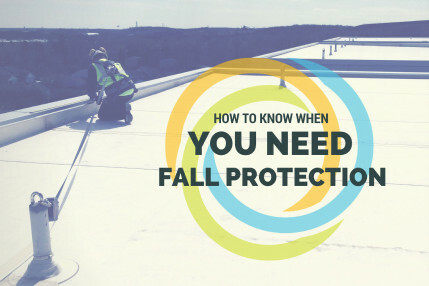 Making permanent fall protection less viable, a few exemptions have sprung up over the years. According to Subpart L of the Construction regulations, fall protection on scaffolding is not required until you are greater than 10’ off the lower level. 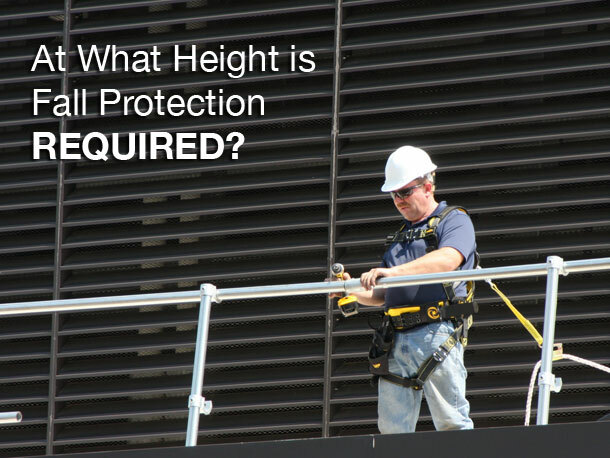 Since most frame scaffolds are between 6’ and 10’ tall, this allows users to not have to worry about fall protection every time they set up a single bay or level of scaffolding. This exemption allows for unprotected work on top of a single bay of scaffolding. The Steel Erection regulations, Subpart R of the Construction standards, are notorious for being lenient and difficult to understand. Simply put, anybody involved in steel erection activities is not required to have fall protection until they are 15’ in the air. Here’s where it gets tricky. Connectors – those employees on a steel erection crew actively receiving and connecting steel members – do not need to be tied off up to 30’ or two stories, whichever is less. However, they must be wearing the proper fall protection equipment and have an approved anchor point after 15’. In this situation, a connector may choose to not tie off, but the ability to tie off must exist. It is important to reiterate the ‘or two stories, whichever is less’ portion of the rule. Connectors may be required by law to be tied off at, say, 24’, if it was two stories of 12’ each. At the same time, they would not be required to be tied off if it was one story at 24’. Most people don’t think about fall protection when it comes to ladders and stairways, mostly because stairwells are often enclosed or have some type of railing already installed. OSHA requires in Subpart X that all stairways having four or more risers or that rise more than 30 inches be equipped with a stair rail along each unprotected side or edge. This is important to remember since stairs, permanent or temporary, are often built on job-sites without the railings and/or walls that will eventually enclose them. With ladders, the key number to remember is 24’. In any instance where the climb on a fixed ladder is greater than 24’ or where the climb is less than 24’ but the top of the ladder is greater than 24’ above a lower level, fall protection must be provided as one of the following: a ladder safety device or a self-retracting lifeline. In the past, concern was raised as to whether or not fall protection was needed for employees climbing on the face of a vertical rebar assembly such as one that would be constructed for a wall that was to be poured in place. In a letter of interpretation dated May 19, 1997, OSHA responded to previous letters from 1994 and 1996 regarding rebar assemblies. OSHA states that fall protection is not required while the employees are in motion up to 24’ because they consider the multiple handholds and footholds of a vertical rebar assembly to provide similar protection as that of a ladder. However, just as in the ladder standard, should that employee need to climb to a height greater than 24’, they would be required to utilize fall protection. Note that this exception is given during climbing or moving only. Once the employee reaches their place of work, they would need to have fall protection which could be a harness and lanyard or a positioning belt. In the end, there isn’t a one-size-fits-all answer. As a safety professional or the person in your organization responsible for employees working at heights, it is imperative that you understand each situation and determine what is required. 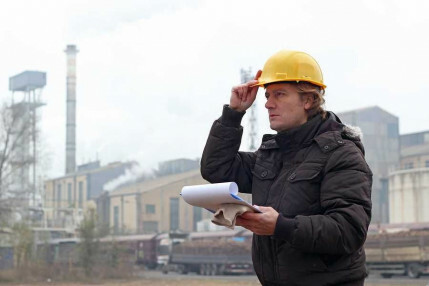 Find which standard is applicable, then create a safety plan around the work being done. When it comes to falling, you can never be too safe.